Brasilchic scarves are a completely original accessory that will become one of your favourite garments from the very first moment. They are great as foulards. 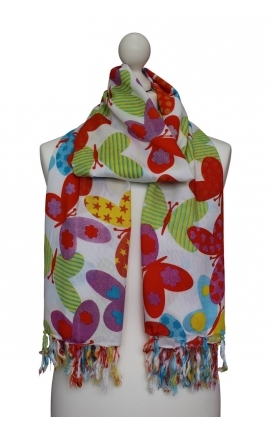 They can keep you warm and, due to their varied designs and colours, they match perfectly with every style. This accessory will instantly change your look, give a touch of colour to simple outfits, add a gypsy air to ethnic clothes and even work as a necklace during your parties. Our scarves can be used in infinite ways during the whole year. You can use them as long or short skirts, dresses, blouses, smart shawls, headscarves, beautiful beach wraps, or simply to sit or lie on the sand, everything together in a single piece of clothing. You can integrate it in your home decor as a nice piece of art. 100 % high quality and density viscose, your skin will feel its pleasant softness. 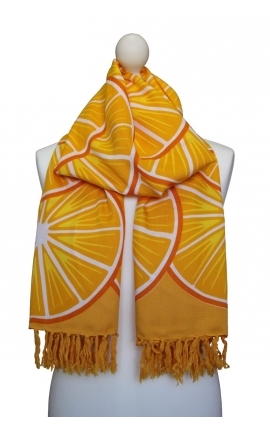 Create your own style: printed, colourful, plain, smart, casual scarves, unisex designs for men and women are available.Our scarves match fantastically with any kind of clothing. They will become your favourite accessory thanks to their perfect size and wide variety of colours and prints. 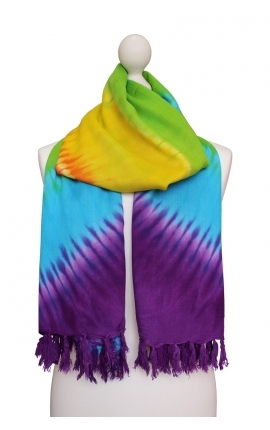 Your scarf will look like a different garment each time you wear it! They mix art and fashion because they are designed by Brazilian artists, their copyright guarantee the exclusiveness and protection of the product. Once they are designed in Brazil, our scarves are dyed in Bali, where their amazing techniques guarantee that their colours will always look like new. This product has been developed under fair working conditions. 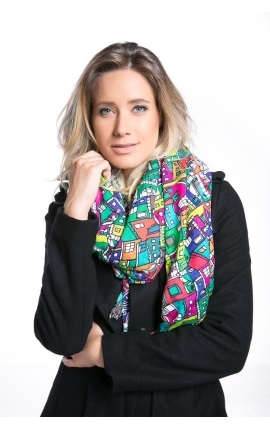 Me acabo de comprar este pañuelo y estoy fascinada con los colores. Casi me gusta más que en la foto... Es muy combinable con cualquier prenda y la calidad del tejido me ha sorprendido muy gratamente para el precio que tiene. Es el primer producto que tengo de Brasil pero no será el último seguro! !